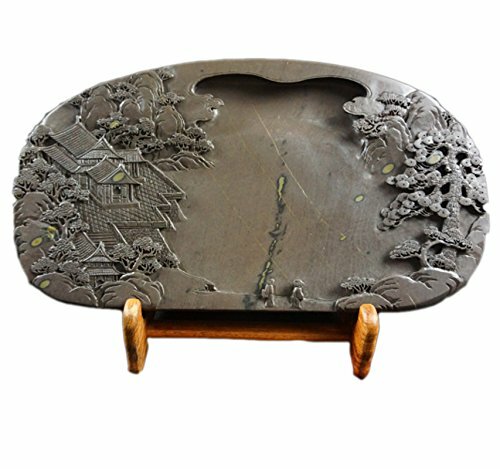 Chinese Zhaoqing Meihua Keng Duan Yan Large Size Ink Stone Inkstone 33.5x18x4cm by Charming China Ink Stone at Stickman's Blog. MPN: Unknown. Hurry! Limited time offer. Offer valid only while supplies last. This ink-stone is carved by hand, very delicate. Its weight is about 5-6kg, it is very suitable for collecting or giving gifts to friends. Each stone is unique. There are various distinctive stone markings, due to various rock materials imbedded in the stone, these minerals create different colors and textures of stone. But every stone has a smooth, satin sheen and you can feel the polished surface when you touch it.